Olive & June opened in 2012, and is named after the grandmothers of chef Shawn Cirkiel and his wife. Olive & June raised the bar for Italian cuisine in Austin with an emphasis on handmade pasta made in house, daily. The 3-story building is enveloped by a 200-year-old oak tree with 4 different dining areas inside and out. 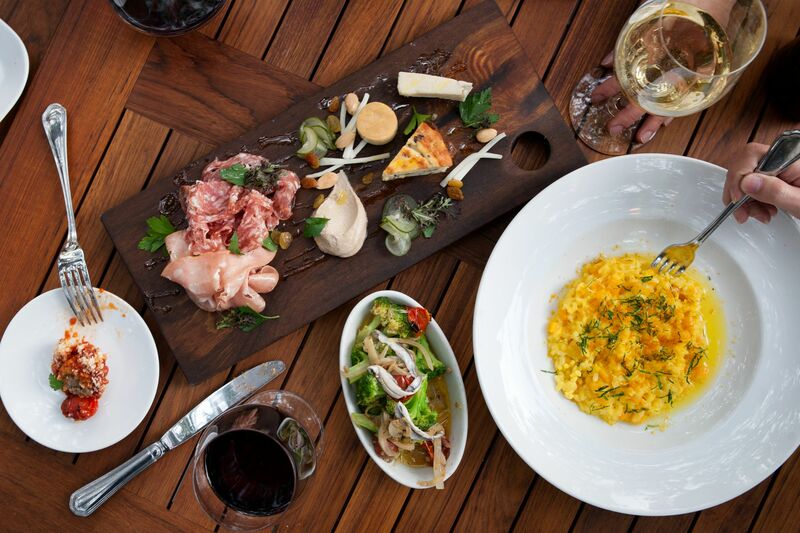 Olive & June also has the largest and most diverse selection of Italian wine, Amari, and Grappa in Austin. Being a part of the Parkside Projects company, Olive & June is well known for its formal yet friendly service. Guests can look forward to new and exciting ways our chefs are celebrating the cuisine and culture of Southern Italy with their friends, family and loved ones.